The Denver Broncos are looking to make another comeback in 2017. After failing to even qualify for the postseason in 2016 as defending Super Bowl champs, this team is hungry to get back into contention. 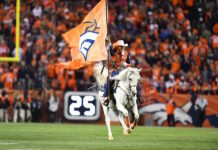 The Broncos had won five straight AFC West titles from 2011 to 2015, but finished third last season behind the Kansas City Chiefs and the Oakland Raiders. Denver had to overcome a number of losses in 2016 that kept them from reaching their ultimate goals. Of course, Peyton Manning retired after an amazing 18-year career, and a new quarterback had to be found. The Broncos Super Bowl winning roster was poached by a number of NFL teams, looking to find some championship magic of their own. Defensive tackle Malik Jackson, inside linebacker Danny Trevathan, and safety David Bruton all left via free agency. In addition to those losses, the Broncos battled some nagging injuries to some key players all season. 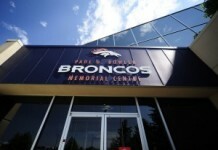 Prior to the season even starting, Denver lost defensive lineman Vance Walker for the year to a knee injury. DeMarcus Ware was in and out of the lineup, Ty Sambrailo had a bad elbow, and even starting quarterback Trevor Siemian had a shoulder injury that he had to fight through. Injuries are just a part of the NFL, but there is no question that the Broncos battled injuries at some very key positions. Yes, he was just a sixth-round draft pick, but the Broncos definitely felt the loss of Janovich to an ankle injury in Week 13. He had already been playing with a broken hand, which he suffered in Week 7 and required a cast. It isn’t that Janovicch was posting any sort of gaudy statistics, but the gritty fullback was making plays everywhere. He had four carries for 33 yards and a touchdown, five catches for 44 yards, and he even made two tackles on special teams. Yet, his biggest contribution was his blocking ability in the backfield. 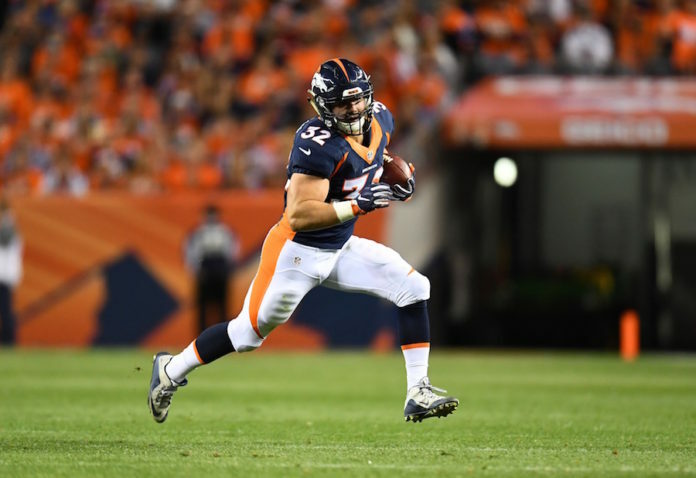 The Broncos running game had a significant dropoff once Janovich was hobbled. New offensive coordinator Mike McCoy has had success using the fullback in the past. Janovich could be a solid contributor in this offense. Fowler will be the answer to the trivia question, “Who caught the last pass of Peyton Manning’s career?” The speedy Fowler hauled in the late two-point conversion to clinch Super Bowl 50. You just know that the big wideout was hoping to follow up his solid 2015 performance with an even better 2016 season. However, Fowler suffered an elbow injury in the opening preseason game, and never did get on track. He finished the season with just 11 catches for 145 yards, and two touchdowns. The Broncos offense felt the loss. Demaryius Thomas and Emmanuel Sanders still turned in solid seasons, but a third receiver never did step up and contribute. The Broncos drafted Carlos Henderson in the third round of this year’s draft, but a healthy Fowler could see a bounce-back season in 2017. With the loss of Malik Jackson to free agency and Vance Walker to injury, fans wondered if the Denver defense could keep playing at a high level. Derek Wolfe was a big reason that they were able to do just that, at least early in the season. Wolfe came out of the gates quickly, racking up 19 tackles and 4.5 sacks in the first five games of the 2016 season. Then the injury bug hit, and with Wolfe not at full strength, the Denver defense took a step backward. Battling an elbow injury, and an inflammation in his neck and shoulder, Wolfe’s production dropped. He managed only 32 tackles and just a single sack over the final nine games. Wolfe has packed on 20 pounds of muscle this offseason in hopes of being able to withstand to the grind of 16 games. A healthy Derek Wolfe in 2017 would be good news for the Denver defense and bad news for opposing offenses. Just as it seemed the Broncos might get be getting some things figured out on offense, C.J. Anderson went down with a knee injury. In Week 7 the Broncos faced a very stout Houston Texans defense, and Anderson rushed for 107 yards and a touchdown. The Denver offense racked up 347 yards, 27 points, and looked like they might have had a breakthrough. However, in that game Anderson tore the meniscus in his right knee and was lost for the season. Prior to the Anderson injury, the Broncos were averaging nearly 112 yards per game on the ground. With Anderson out, that average fell to just 78 yards per game. Rookie Devontae Booker was thrust into the starting lineup, and it was clearly a difficult transition. Anderson seemed to be capable of finding or creating a hole despite the struggles of the offensive line. The lack of a consistent running game killed the Broncos chances down the stretch, and put a ton of pressure on both the quarterbacks and the defense. Anderson may have made the Broncos 2016 season look very different. After Trevor Siemian, no one player may have been asked to shoulder a bigger load in 2016 than inside linebacker Brandon Marshall. With Danny Trevathan taking his 109 tackles in 2015 to Chicago, the Broncos looked to Marshall to carry a heavy load. He had already proven himself capable of taking on the workload in 2014. With Trevathan missing 13 games with a fractured kneecap, Marshall assumed the mic role and flourished. He racked up 113 tackles and two sacks, and even defended nine passes in coverage. The 2016 season would not be so kind to Marshall. A hamstring bothered him throughout most of the second half of the season, and he would play in just 11 games. The Broncos defense had to adjust to life without Marshall, and there were definitely some bumps in the road. The Broncos allowed over 130 yards per game on the ground and lost some key games as a result. 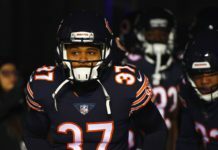 Marshall has looked strong so far in OTAs, and his return to form could make for a completely different look to this team in the upcoming season.